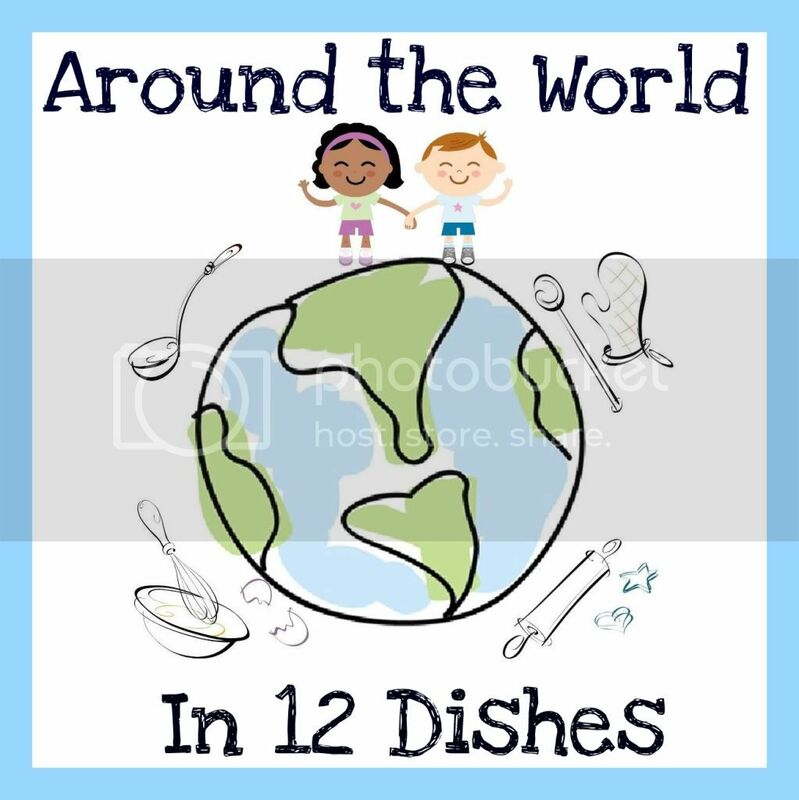 We are continuing our monthly journey around the world, exploring 12 different countries with our children, by cooking 12 dishes with them. One for each country visited. The world is such a wonderfully diverse and colorful place. It is our goal to bring different cultures to life for our children through food, books & more! Why? Not only is it an exciting and different way to learn about cultures, but it also benefits our children in many ways - including basic learning (like numeracy and science), multicultural awareness and acceptance and instilling a sense of adventure and wonder into our children. How can you beat that? Adventures In Mommydom, Creative Family Fun, Glittering Muffins, Juggling with Kids, Kitchen Counter Chronicles, Make, Do & Friends, Mom 2 Posh Little Divas, Mummymummymum, Rainy Day Mum, Red Ted Art, The Educators' Spin On It and The Outlaw Mom have all come together to help you on your journey. We will all be cooking a dish with our children and posting about it - to help inspire you to have a go! There will also be fun extras like books, crafts & activities so be sure to visit all the wonderful links. Then go cook and join in the linky fun with us! Cook a dish from Russia: The goal is to explore this country through FOOD (and activities if you wish). Make a typical dish (sweet or savoury) from the country with the kids, take photos and have fun! Typical dishes: Solyanka, Borscht, Shchi, Pelmeni and Pirozhki (Here is a link for more inspiration: Russian cuisine). Fun fact: Every day over 9 MILLION passengers ride the Metro, Moscow's vast underground subway system. In a single day, an average of 9915 trains operate between 5am - 1am, making the New York subway system seem like a miniature child's toy. Share with us: Our Russia challenge start will remain open for a year, so attach a link to your blog to enter the linky party or visit our Around the World in 12 Dishes Facebook page and post a photo together with what you did together with your child(ren). Please link up your Russian dish and/or craft in our linky below.